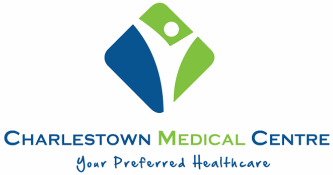 The online prescription form below is addressed only to the patients who previously registered themselves with Charlestown Medical Centre and attended at least one consultation with the doctor here. Please note that certain prescriptions cannot be obtained without a prior consultation with one of our doctors. One of our receptionists will get in touch with you as soon as your prescription is ready for collection. Please type your name (first & last) in the fields provided. Thank you. Please type your telephone number in the field provided. Thank you. Please choose the right answer by clicking the right answer into the drop-down box provided. Thank you. Please state in the drop-down box provided how many months you would like the repeat prescription to be issued for. Please note that your doctor may alter this requirement according to your health status. Thank you. Please type in the box provided the exact name of each requested medicine, including the dosage (eg. 100mg, 1ml, etc.) and the frequency (eg. two times per day, three times per day, once weekly, etc.). Please note that your doctor may alter any of the above if required by your health status. Thank you. All fields marked with an asterisc (*) are compulsory. Please click the "Submit" button after all requested fields are completed. Thank you.